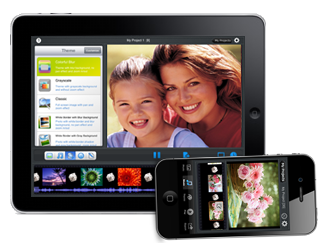 Create eye-catching slideshow movie with photos,video clips and music on your iPad / iPhone. 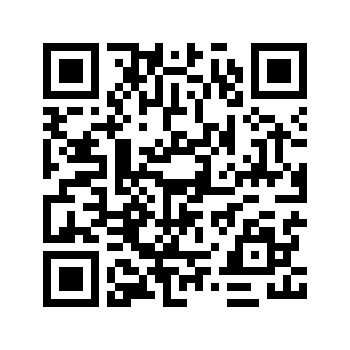 Download this iPad / iPhone Slideshow App to get started now! Want to make a slideshow DVD and watch on TV? Click here to download DVD Photo Slideshow Professional and create your own photo slideshow dvd in minutes in Windows or iMac,MacBook Pro. With taps and drags on iPad / iPhone, you can turn your photos, movies and music into live and dynamic slideshow with ease. With slideshow themes, you just need to add photos and music then your slideshow is ready for showing. You can also add text narration, adjust transition effects to customize slideshow. Another important highlight of Photo Slideshow Director HD is that it can encode slideshows to HD movies with very high speed. The video encoding is very fast with almost 1x speed. The encoded videos have resolutions as high as 1920x1080p. 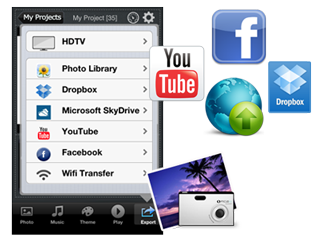 To play the videos on HDTV, all you need is to copy the slideshow video to a USB drive and plugin HDTV via USB port, or connect your iPad to your big screen HDTV with a HDMI cable. You can also watch the slideshow movies on TV via AppleTV AirPlay. You can add photos from all sources into Photo Slideshow Director HD: Photos taken by the built-in camera, photos saved in camera roll, or photos from your Instagram. You can also import photos Picasa albums, Facebook and Flickr albums to this app and turn your Picasa, facebook and Flickr web albums into slideshow movies on your iPad as easy as 1,2,3. With the music sync function, you can create a slideshow music video with your favorite song easily. Just add a song and photos, the App will sync music and pictures automatically. If you want to share the memorable moments with more friends, there is no need to do any cockamamie steps. You can simply upload the slideshows to Dropbox, Microsoft SkyDrive,YouTube or Facebook directly which lets you share your stunning slideshow movie with friends easily. Photo Slideshow Director HD helps you keep and share those significant moments in life. You can easily import photos from your own Instagram account, photos you liked and whom you followed.This App also support Dropbox, you can add photos from your Dropbox folder. More important, you can upload the photo music video to Dropbox and send a sharing link to your friends,which makes sharing video as easy as possible. Photo Slideshow Director HD Pro runs on all iOS devices with 7.0 or later. Turn your photos,video clips into stand- alone slideshows with music, transitions, pan / zoom and more effects.